Seoul, Korea International Airport. 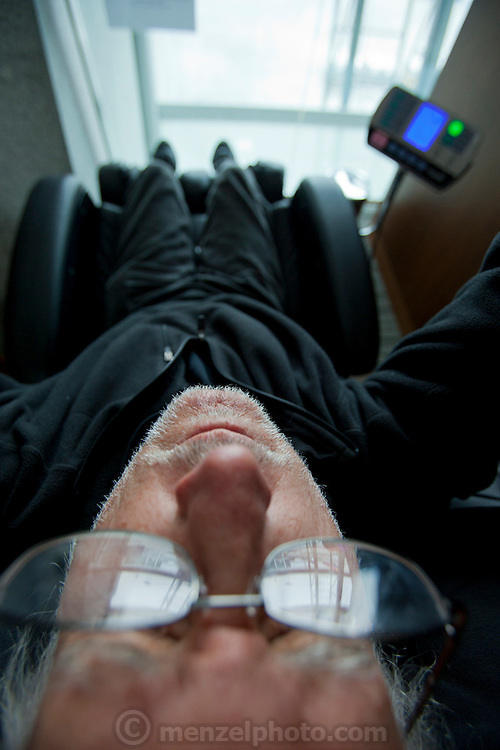 Peter Menzel in massage chair. Self portrait. MODEL RELEASED.